Cloud computing doesn’t just change where applications are run. It changes the processes used to build, deploy and ultimately manage them. 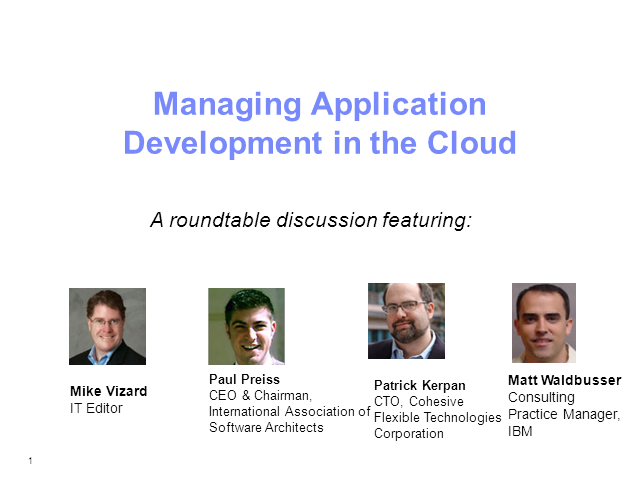 Come hear industry experts describe how your peers are using cloud computing to modernize application development and testing in a way that not only lowers costs, but also makes the overall process more flexible, agile and responsive to the dynamically changing needs of a Smarter Business.